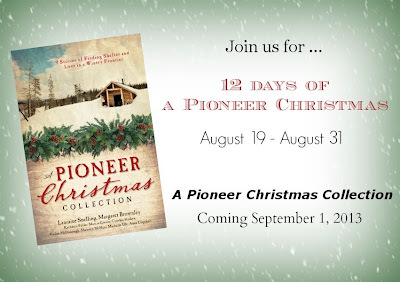 My co-author Michelle Ule has a marvelous post up today titled "Uncommon Romance," discussing how many of the Pioneer Christmas novellas depart from your traditional romance model. Co-debut-author Anna Urquhart is featuring an interview with Margaret Brownley, author of A Pony Express Christmas. I'll be running that interview here on Saturday, but you can check it out on Anna's site first. And don't forget to take the time to enter her giveaway!